If you're looking for a Car that is reliable with minimum problems, this is the vehicle for you! Although this vehicle is old, it has been very reliable throughout the years, with only minor mechanical problems. As it gets older, more maintenance needs to be done and more parts needs to be replaced, but that's normal. This car is spacious and lots of room in the trunk for big items. It came with simple features, nothing fancy. This car has always run smooth and has a little bit of power to it. Overall it has been a very good vehicle. 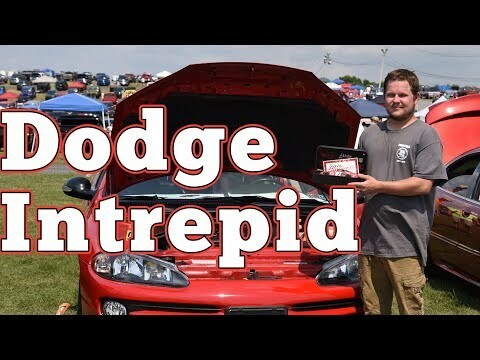 2001 Dodge intrepid meets the test of time. Mostly reliable though it is 17 years old so age is taking an effect. It has over 200k miles on it so it has been a good car for a long time. It has power steering and brakes, airbags and cruise control. It is a bit of a boat though, it is so long it barely fits in the length of most parking spaces. It has always been a comfortable ride with good legroom. For its size and age, it still gets good gas mileage, 23 city and about 28 highway. Long lasting Dodge with no real major issues. The car has performed very well over the past 17 years and I have no plans to trade it. Have only had 3 major repairs including brakes, struts, and alternator. The only issue now is that I am older, it sits lower to the ground and is a little hard to get in an out of. Certain passenger vehicles (non-sunroof only) fail to comply with the requirements of Federal Motor Vehicle Safety Standard No. 201, "Occupant Protection in Interior Impact." In the event of a crash, there is a potential for injury if the occupant's head were to contact the B-pillar. Owners will be sent a storage bin accessory unit that can be attached to the B-pillar along with installation instructions. However, owners also can have a dealer perform the installation. DaimlerChrysler has not yet provided NHTSA with an owner notification schedule for this campaign. Owners who do not receive the free remedy within a reasonable time should contact DaimlerChrysler at 1-800-853-1403.